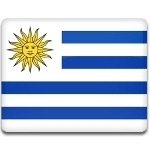 May 18 is Battle of Las Piedras Day in Uruguay. This is an official working holiday, that is mostly observed by schools and public officers. The Battle of Las Pierdras was fought on May 18, 1811 as a part of the Uruguayan struggle for independence from Spain. This battle considered to be a turning point in the revolution, that involved Uruguay, Argentina and Paraguay. The Uruguayan army of 1,000 men was led by José Gervasio Artigas, who later became a national hero. The battle lasted for one day only, but it resulted in a total victory of the revolutionaries. After the battle Artigas pronounced his famous sentence “Cure the injured, mercy the vanquished" (Curad a los heridos, clemencia para los vencidos). This decision referred to the Spanish prisoners and wounded soldiers, ant it was very unusual at those times. After the battle only Colonia del Sacramento and Montevideo remained under control of the royalists, the supporters of the Spanish monarchy. They were finally taken by General Carlos María de Alvear on June 20, 1814.